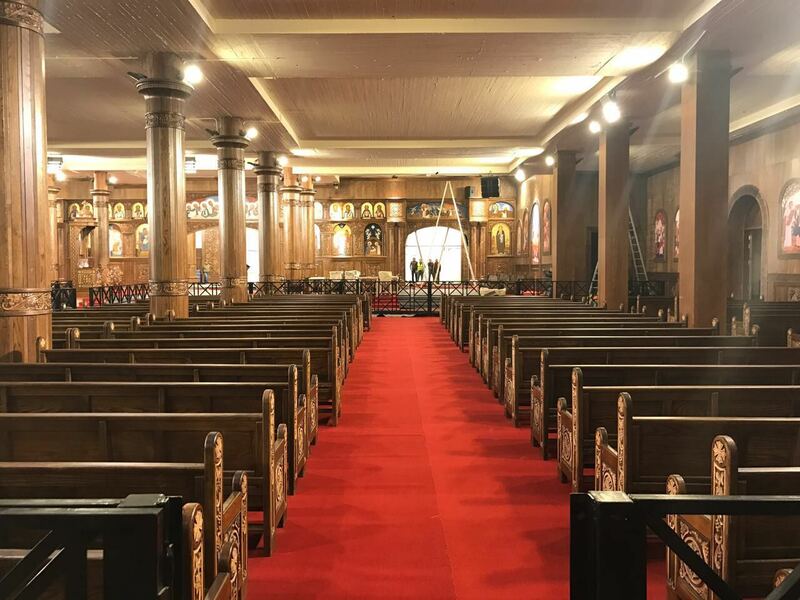 Jubilation was in the air on the evening of 6 January, Coptic Christmas Eve, as Copts gathered into the new Cathedral of the Nativity of Christ to celebrate Midnight Mass. 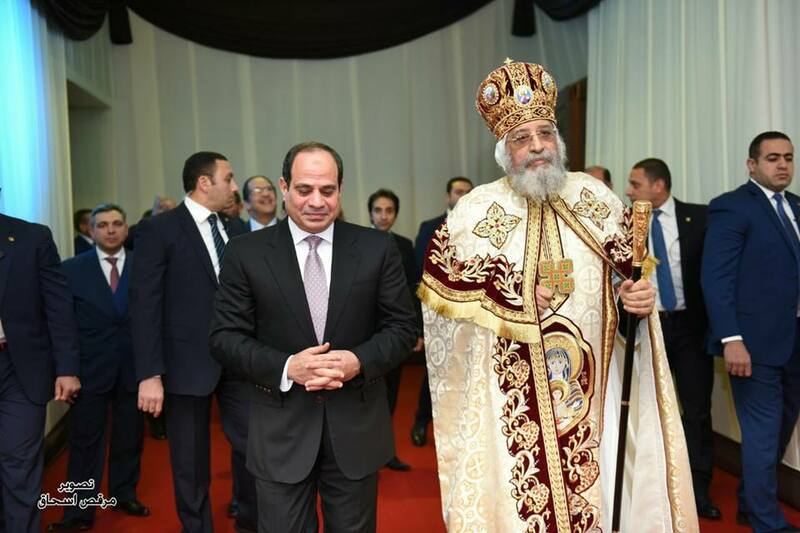 Pope Tawadros II was to preside over Mass, and it was expected that President Abdel-Fattah al-Sisi would make an appearance; he has made it a tradition during his presidency to visit the Cathedral to wish Egypt’s Christians a Happy Christmas. This used to be at the St Mark’s Cathedral in Abbassiya, Cairo, where Midnight Mass was held over 50 years ever since St Mark’s was opened as seat of the Coptic Orthodox Patriarch. 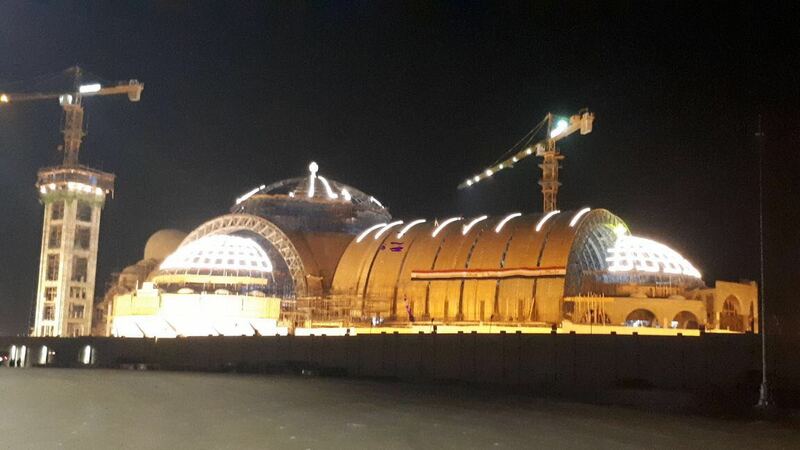 On Coptic Christmas Eve one year ago, President Sisi visited St Mark’s at Midnight Mass and made the surprise announcement that, on the same evening the following year, Midnight Mass would be celebrated in a new cathedral that would be the biggest in Egypt, and that would be built in Egypt’s new administrative capital some 40km east of Cairo. President Sisi kept his word. Midnight Mass was celebrated on the evening of Saturday 6 January at the Cathedral of the Nativity of Christ. Pope Tawadros, robed in his festive clerical vestments in preparation for celebrating Mass, received the President as he arrived at the Cathedral. He warmly welcomed him and took his hand to lead him into the cathedral door and along the aisle in the procession of deacons and bishops chanting Ep Oro (King of Peace) up to the sanctuary. The melody is an age-old Coptic tune that accompanies a procession; it goes back to ancient Egypt when it was sung to the triumphant Pharaoh’s procession. 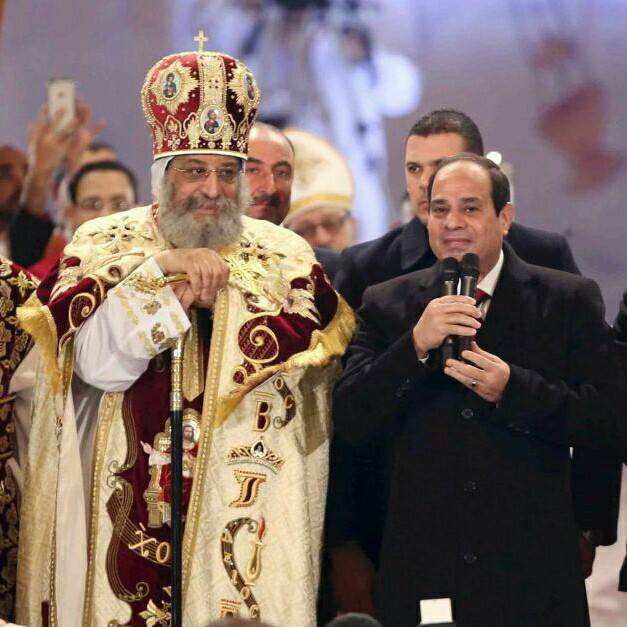 As Pope Tawadros stood by, a loving smile on his face, President Sisi said: “I ask everyone: Can a price be put to the joy displayed by everyone here and now? How much is this joy worth? This is goodness that comes not from us, but from the Lord. The President took leave of the Pope who saw him out, then returned to begin Holy Mass. Pope Tawadros started his sermon, by thanking President Sisi for his warm greetings and for the new cathedral, all heads of Churches and clergy, also all the officials and public figures who wished Copts a happy Feast of the Nativity. 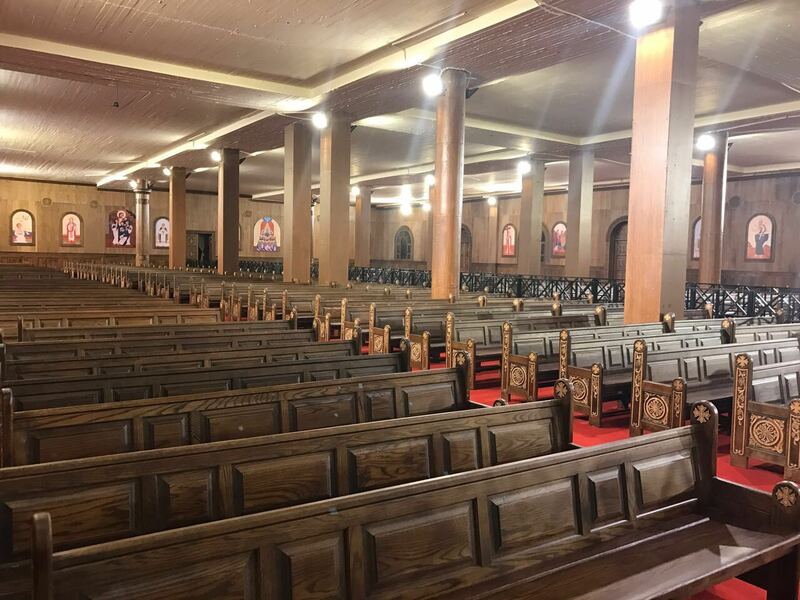 He gave thanks for the new Cathedral, and said it was named the Cathedral of the Nativity of Christ because its construction was announced during the Feast of the Nativity in 2017, and it was partially opened on the Feast of the Nativity in 2018. He said it emulates the Church of the Nativity in Bethlehem in the Holy Land; both churches celebrate the Christmas event of the nativity of Christ. He talked of the Nativity as a celebration of childhood, reminding the congregation of the Bible verse in St Matthew 18: “Unless you go back to become as little children, you will by no means enter the Kingdom of Heaven.” We should go back, he said, to the unalloyed simplicity, faith, purity of soul, sense, and joy of childhood in order to qualify for Heaven. Pope Tawadros concluded his sermon by offering his gratefulness, condolences and prayer for all families who lost loved ones at the hands of terror attacks; and by wishing the injured recovery and support from the Lord.